So...Doctor Who Day far exceeded our expectations. That's an understatement actually. I was expecting 50-60 people to make their way through our stations. We had 50-60 people stampeding down the hallway when the library opened at one o'clock. We're estimating 175-200 people, of all ages, attended the event last Friday. Crazy. What did we learn from this experience? There is a community of (awesome) nerds in our community. The program definitely got me thinking. How can we best reach this particular demographic and keep the momentum going? Doctor Who Day once a month would get stale. But what we planned a program dedicated to all things nerd? So this fall we're going to launch a new club...Nerd Proud. 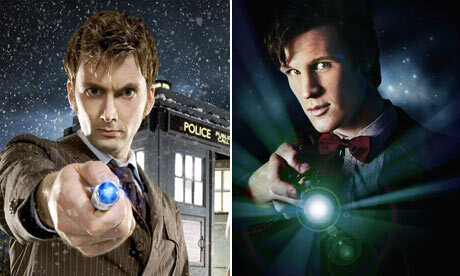 Each month we'll pose a nerdy question and plan an activity: Tennant or Smith? Superfans showdown - Bronies vs. Pegasisters? DC vs. Marvel? And so on. There will be moderating. There will be time for free discussion. And there will be chaos, I'm sure. But there will be fun. We were going to make it all-inclusive, middle school through adult, but thought better of it. The maturity levels are too extreme. Instead, we're creating two clubs, and maybe, just maybe we can finally find a program that our 20-30 somethings will be interested in attending.